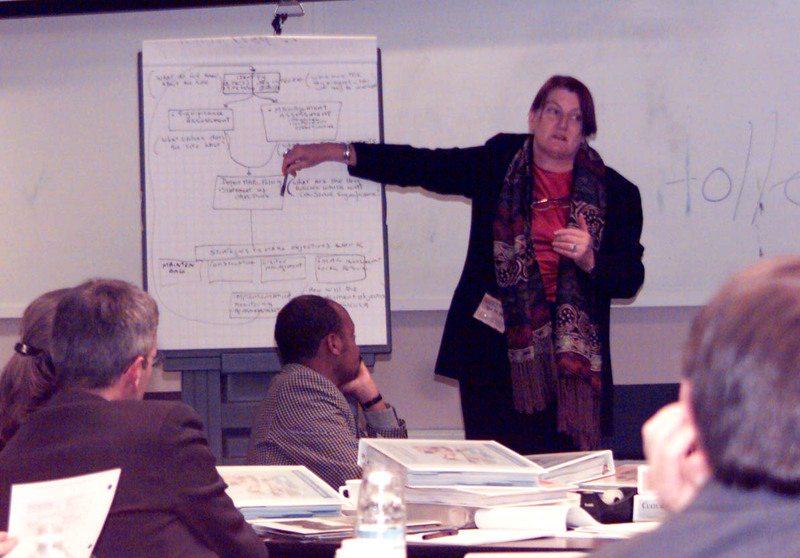 Sharon Sullivan (left), former Executive Director, Australian Heritage Commission, presented a planning model for the management of archaeological sites. Pietronella Van Den Oever (far right), Environment and Natural Resources, World Bank Institute, identified necessary conditions for cultural heritage preservation, including technical, economic, socio-cultural and stakeholder factors. 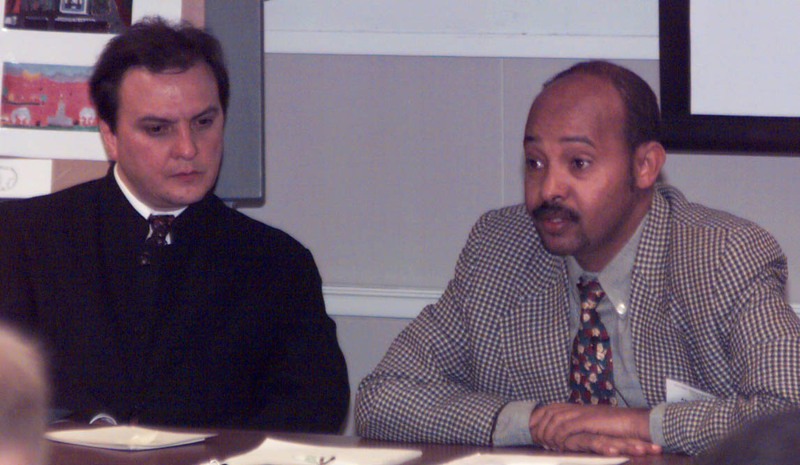 Joseph King (on the left), Coordinator, Africa 2009 Program, ICCROM, emphasized the importance of community involvement in all phases of the site planning process: implementation, monitoring, maintenance, and adjustment for the future. 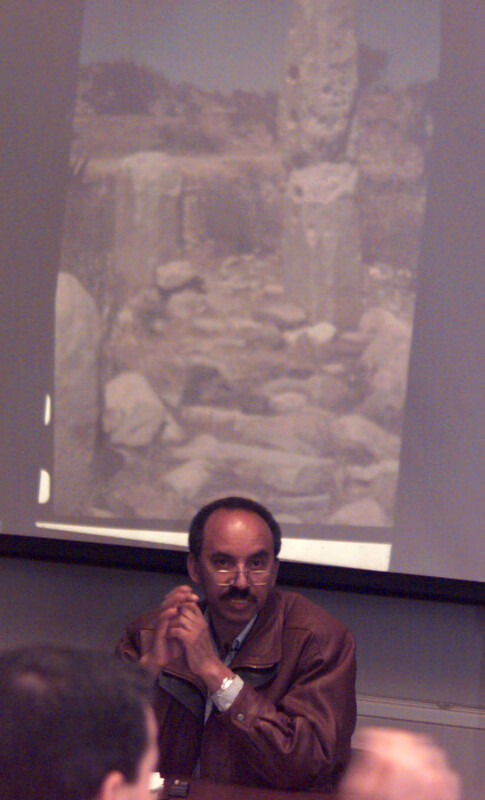 Joseph Libsekal, Director, National Museum of Eritrea, highlighted methods to involve local communities in the planning of the Gohayto site, including discussions with them to learn their oral history, understand the local ecology, assess community sentiments about the site, inventory cultural assets of the site, and develop programs to train local people as guides, interpreters and site managers. 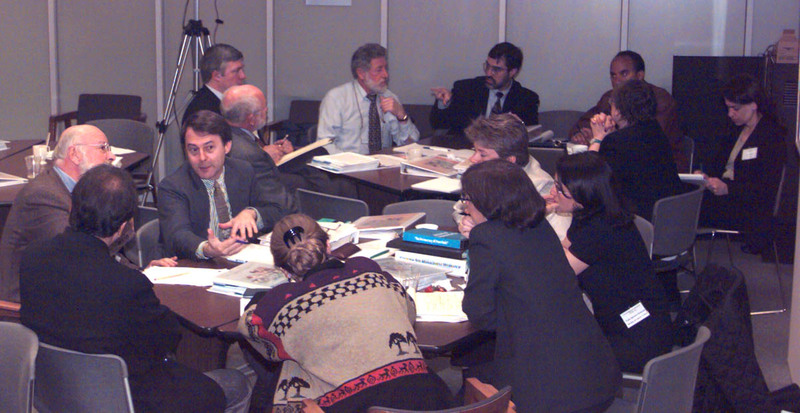 Above, left and below: Workshop participants engaged in group discussions. 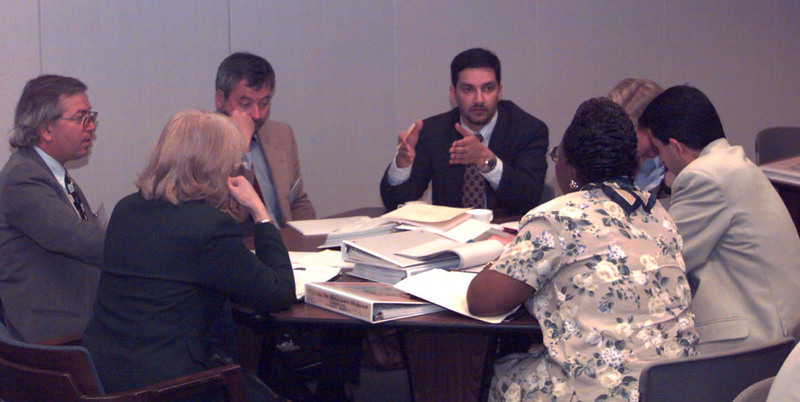 Informal exchanges are central to the workshop curriculum. Mario Bravo, Cultural Heritage Consultant, discussed recent stakeholder involvement in CSM in Ouro Preto, Brazil. He detailed the tensions between the city�s economic requirements and its preservation as a historic site. Atakilti Hagege, Director, Bureau of Culture, Tourism and Information, Ethiopia, outlined challenges and viable solutions in cultural heritage management in Tigrai, northern Ethiopia.